The UNC School of Medicine today launched the Android version of PPD ACT, a mobile app-based study helping to further the understanding of why some women suffer from Postpartum Depression (PPD) and others do not - critical knowledge for researchers working to find more effective treatments. 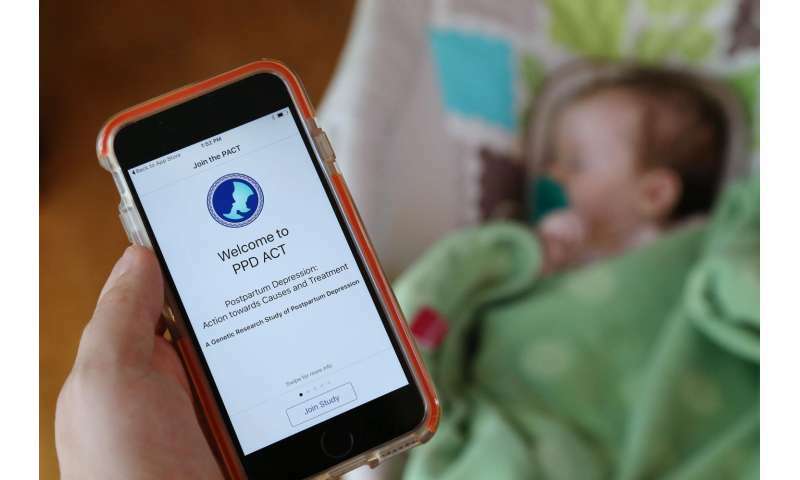 PPD ACT, previously available for iOS only, is now available in the U.S. and Australia for Android devices and the iOS version is now available in Canada. Additionally, all users in the U.S. may access a new module to help researchers understand the economic impact and burden that PPD has on society. The app surveys women to identify those who have had symptoms of PPD and invites certain women to provide DNA samples so that researchers can study the genes of those affected by PPD. During its first year, approximately 14,000 women enrolled in the study, far surpassing expectations. PPD ACT was initially launched as an iPhone-based ResearchKit app, an open-source framework developed by Apple that allows researchers to create app-based studies with global reach. However, since approximately half of the U.S. population uses Android phones, as do many women in Australia, this new version of the app will open the doors for many more women to participate. Additionally, a Canadian team led by Women's College Hospital in Ontario, Canada, has received funding to expand the iOS app into Canada, responding to the numerous requests from Canadian women wanting to participate in the study. "The participation from the first year of the study is astounding and, frankly, unprecedented in terms of using the social media platform of an app to recruit women for study participation involving the donation of genetic samples," said Samantha Meltzer-Brody, MD, MPH, director of the Perinatal Psychiatry Program at the UNC Center for Women's Mood Disorders and lead researcher for the study. "Launching the Android version in the U.S. and Australia and expanding into Canada allows for an even larger group of women the opportunity to share their experiences so that we can more effectively diagnose and treat PPD in the future." This study is the first of its kind and uniquely designed for rapid collection of a large number of DNA samples required for genetic analysis. The eventual goal is to gather 50,000 samples from around the globe through continued expansion to additional countries. PPD ACT has also had impact beyond research. Many women have sought care and treatment based on symptoms that became apparent after completing the screening module of the app. "As someone who experienced a variation of PPD symptoms after the births of both of my daughters, I would have welcomed an application, in the privacy of my home, at my fingertips, to potentially help target the 'what and why' of this temporary mental health challenge," said patient Jamie Belsito. "In addition to gathering valuable data, PPD ACT is also starting a much-needed dialogue to help eradicate the stigma often associated with PPD, and to encourage more providers to thoroughly screen for and treat PPD." The U.S. version of the app will also now feature a module which will help researchers better understand the burden that PPD has on patients' quality of life, maternal function, bonding and utilization of health care services. Currently, researchers have an inadequate understanding of the economic burden and the cost of PPD on society. This health outcomes research is being conducted in collaboration with Sage Therapeutics, Inc.
"Until now, the impact of PPD on individuals, their families, and society has been poorly understood. This research, undertaken by UNC, Sage and our collaborators, helps to provide a new, real-world, data-driven understanding of the disease burden postpartum depression patients experience and of their healthcare utilization," said Steve Kanes, MD, PhD, Chief Medical Officer at Sage. "We are very excited to collaborate with UNC in helping to further study the functional and economic impact of this complication of pregnancy." Android users in the U.S. and Australia will be able to download PPD ACT from Google Play. The app continues to be available for iPhone users as a free download from the App Store in the U.S. and Australia, and it is now also available in Canada. International research partners include The University of Queensland in Australia and Women's College Hospital in Toronto, Canada. To help spread the message, UNC has partnered with Postpartum Support International, which is dedicated to increasing awareness among public and professional communities about the emotional changes that women experience during pregnancy and postpartum. "Postpartum Support International is thrilled to partner with UNC on this pioneering study, and to collaborate with researchers around the world," said Ann Smith, president of Postpartum Support International. "We will spread the message and opportunity to participate through our global network of volunteers and professional members. We are confident that findings from this study will prevent suffering and increase positive outcomes for future generations." The app is intended for women 18 years or older who have previously given birth and believe they may have experienced or are currently experiencing signs or symptoms of PPD such as anxiety, depression, guilt, irritability or extreme sadness. To download the app or learn more about the study or PPD, visit pactforthecure.com. Patrick Sullivan, MD, Yeargen Distinguished Professor of Psychiatry and Genetics at the UNC School of Medicine, is a co-investigator in this project. Development of the app and support for the study are provided by the Foundation of Hope for research and treatment of mental illness; Sage Therapeutics, a neuroscience-focused company discovering medicines to treat life-threatening, rare CNS disorders; the UNC Departments of Genetics and Psychiatry; and the UNC Center for Health Innovation. 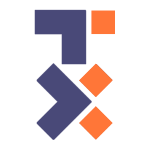 Little Green Software, a full-service app development firm, developed the app.